Stallone in front of the Sammak in question. Yesterday, the legendary actor, artist, and art enthusiast Sylvester Stallone posted a selfie in front of a painting with the caption “Checking out the in Atlanta Georgia very inspiring much more to follow.” That half-formed thought actually turns out to mean that Stallone was at the High Museum of Art in Atlanta, and there was indeed more to follow. 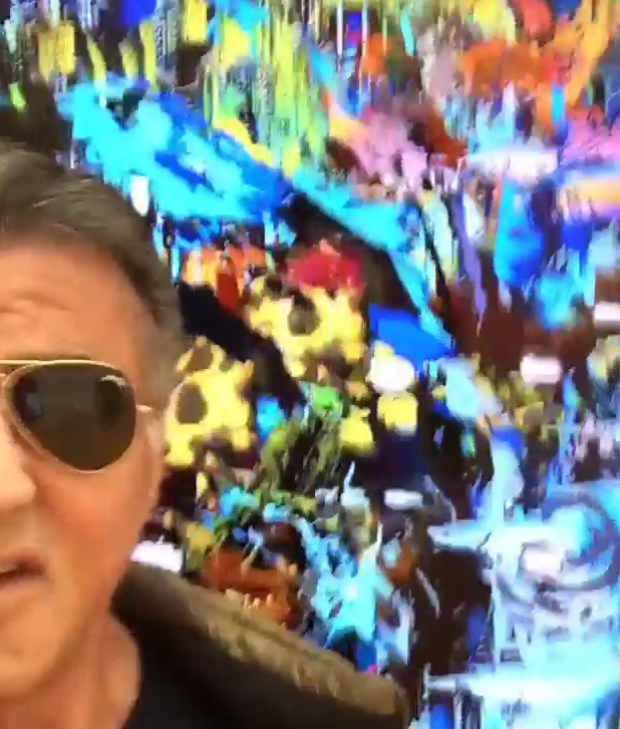 Today, Stallone posted another selfie, this time a video, in front of a work by the New York–based artist Borna Sammak. By Borna Sammak interesting right?